Fix it for you services catered to the footwear industry since 1994. Have a labor intensive project? We can save you time and money. NuShoe Inspect & Correct will fix all your product issues and make certain you are compliant with California’s Proposition 65. NuShoe Inspect & Correct has cleaned mold on hundreds of thousands of shoes. Every pair is cleaned by hand. Don’t let defective inventory sit in your warehouse and on your Balance Sheet. Return damaged stock or inventory with quality issues to A grade. We’ve handled many repair issues on shoe components and shoe hardware and can help turn your defective inventory into sales. We are the leader in defective footwear stock corrections and repair services. Return damaged stock or inventory with quality issues to A grade. 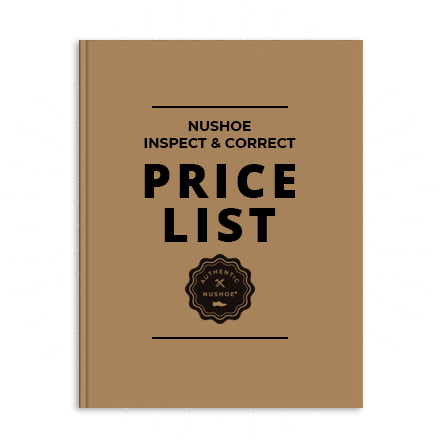 NuShoe Inspect & Correct will reduce Chromium VI levels to safe Chromium III levels for uncut leather, finished uppers and shoes. We specialize in the footwear industry. Many repackaging and relabeling services work on cosmetics, electronics, and other consumer products. Your project may include grading A, B, and C grades of inventory. We’ve inspected over a million shoes and we know how to protect your brand.